We were cycling in Northern Thailand during Christmas. 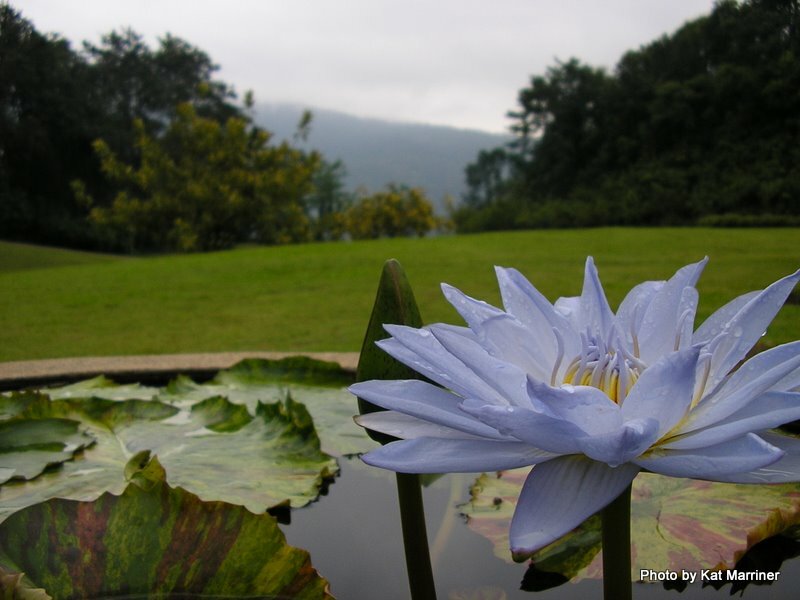 We pedaled into a small town northwest of Chiang Mai. I heard a familiar tune. Jingle Bells. It wasn’t Bing Crosby or Nat King Cole singing. It was one of those little Christmas trees with blinking lights and a chip that plays a loop of holiday favorites. As we got closer, we realized that the storefront window was filled with these things … all competing with each other. Before you listen to the clip below, I’m going to give you fair warning that this is an earworm for me. There is something about the obnoxious sound quality and the hideous way that Jingle Bells transitions to Santa Claus is Coming to Town that haunts me to this day. I can’t hear Jingle Bells without this version playing in the background of my mind. If you do listen, you’ll hear a couple of motor scooters go by and you’ll also hear Silent Night from another cheap plastic tree competing with Jingle Bells. Not all the sounds of travel are pleasant ones. Unfortunately, this one has stuck with me. If you have listened to the audio file and want something more pleasing to bring you back into the holiday spirit, you can check out my post from last year. It is a medley of tunes I recorded in Seville, Spain. If you have the pleasure of taking a bike trip in New Zealand, don’t miss the cathedral. While I know there are beautiful churches in Christchurch and Auckland, I’m referring to one made by Mother Nature. 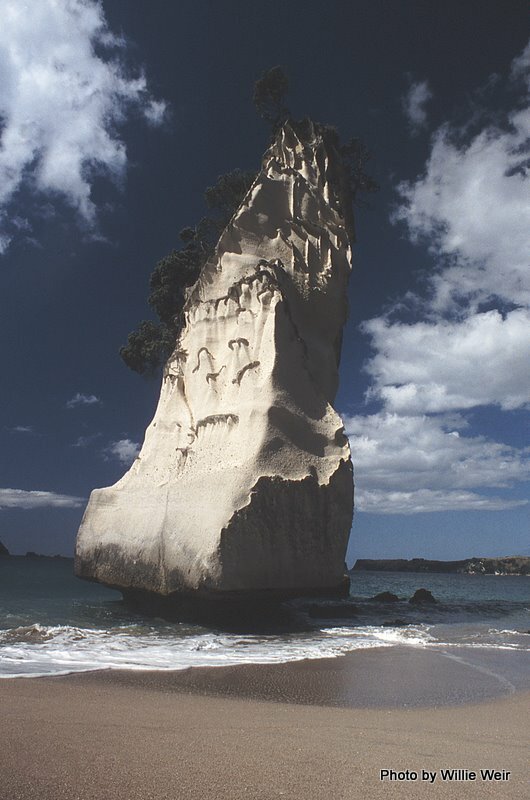 Cathedral Cove is on the Coromandel Peninsula, east of Auckland. As I recall, you’ll have to park your bike and hike out to this cove with its grand arch. It is a protected marine reserve popular with divers and snorkelers. 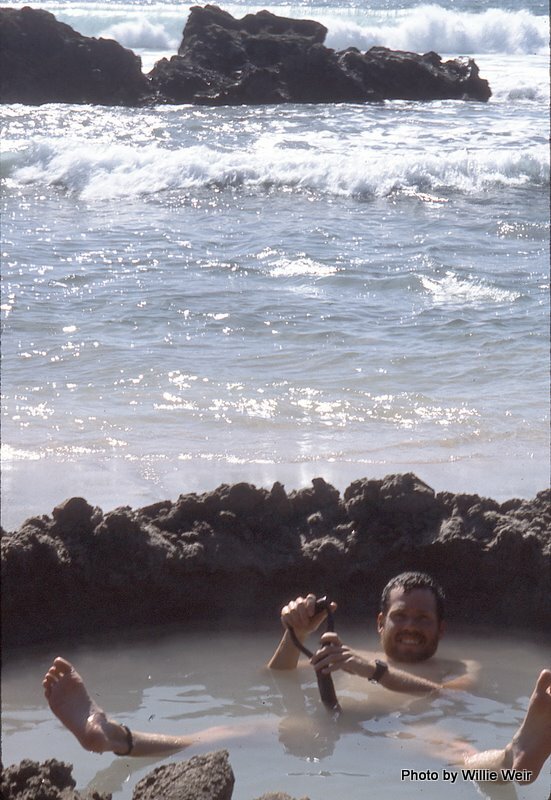 After a visit, you can get on your bike and pedal out to Hot Water Beach, where thermal activity under the sand provides a great opportunity to dig your own hot tub. Borrow a shovel (unless you are already carrying one on your bike. Really? You are?) and dig a hole in the sand when the tide is low. The water will be too hot to sit in, so you’ll mix it with seawater. 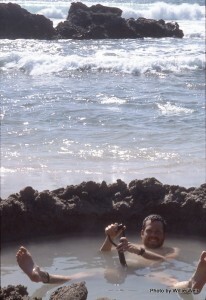 The trick is you’ll have to also build your own little sand wall to keep too much of the cold ocean water from spilling into your hot sand hot tub. It’s hard work. But you won’t mind because you’ll remember that back at home it’s snowing or raining or clear and thirty below. I was there nineteen years ago. Normally I wouldn’t lend out specific travel advice that is nearly two decades old. But unlike restaurants or lodging options, which can drastically change from year to year, Mother Nature is pretty consistently awesome! Let’s take the situation of putting your bike on the bus. Where I live in Seattle, the bike racks on the buses hold three bikes. A bus driver is not allowed to let you bring your bike on board. So the capacity is three. End of story. 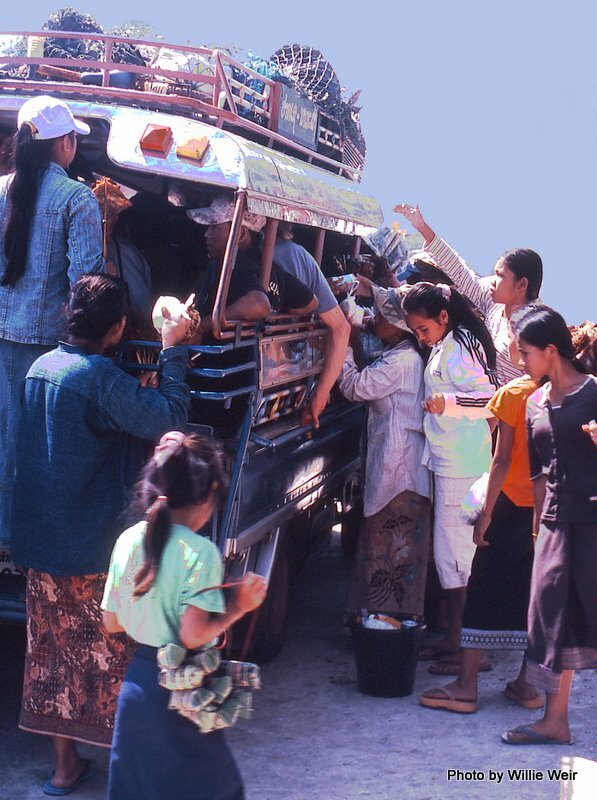 In many countries around the world, the capacity of public transportation is whatever will fit inside, on top of, strapped onto, hanging off of the vehicle. The bus is at capacity only when the driver screams and waves his arms “Enough!” or when the bus literally topples over. You think I’m kidding? It happens. If you say “crowded train” to someone who lives in India or Japan, their mental image will be far different than that of someone who lives in the United States or Canada. One of the many things I love about travel is that it constantly tweaks our own language. Each one of my bicycle journeys has redefined certain words: beautiful, ugly, loud, serene, rich, poor, fair, unfair, tragedy, happiness. I remember getting onto a bus in Guatemala. The driver wouldn’t leave until all the seats were filled. Then he kept picking up people along the route. His helper, who collected the fares, walked on top of the backs of the seats to get around (being small was a requirement for this position). Before each stop I thought, “This bus is full.” And then two or three more people would get on. I began to wonder if there was actually enough oxygen for us all to breathe. When is a bus crowded? When is a highway busy? When is a road steep? When is a pannier full? The answers to those questions (and so many others) are defined and influenced by our wanderings on this incredible planet.